Week Two has nearly sold out – we have space remaining in our Wednesday, 24 April program at Forestville and one seat remains in our Friday, 26 April program at Collaroy! 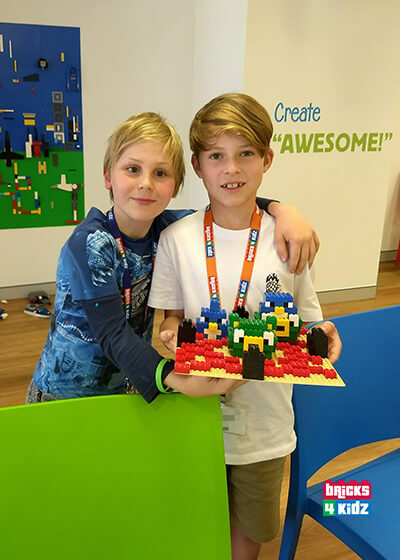 Join us for our NEW workshop inspired by the LEGO® Movie 2! Join Emmet, Lucy, Unicorn Kitty and Benny on a journey to stop Bad Cop and Lord Business from super-gluing the world. Kids will put their engineering skills to work as they build motorized models, 3D figure models and mosaics. They’ll love these awesome models based on The original LEGO® Movie and its sequel. Whether you take an imaginary ride on Metal Beard’s ship or Emmet’s double-decker couch, be sure to get on over to Bricks 4 Kidz where building is awesome! Super Fun & Creative for Boys & Girls! This workshop is SOLD OUT. No Seats remain. Experience the cutting edge of technology with this introduction of LEGO® MINDSTORMS® EV3 Robotics. Students will be captivated as they incorporate the newest generation of motors, sensors and software by programming their commands directly into the intelligent brick. Test their capabilities by moving an object with a robotic claw, build a tricycle that changes direction and a robot that detects colours. Our endless list of builds is sure to provide the complete fundamental components of robotics at best! Join BRICKS 4 KIDZ® for an action filled two day workshop! On the first day the children will explore all their favourite caped crusaders and discover their super powers. Create a fantasy world and protect it against all of the evil arch enemies with custom contraptions made with LEGO® bricks. 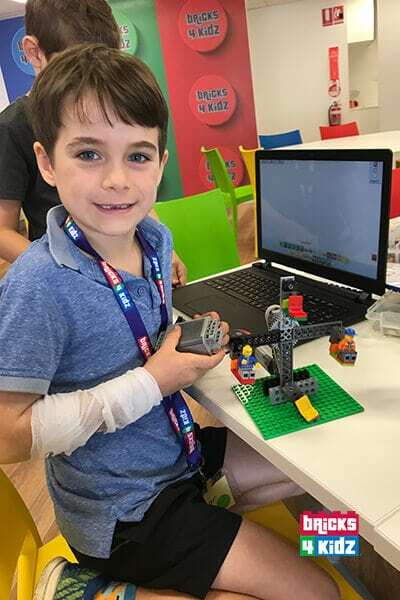 Day two sees the children enter the world of LEGO® NInjago and compete in a Spinjitzu tournament, where Ninjas spin into tornadoes to defeat their enemies. Enter the Spinjitzu zone and show off your building skills. 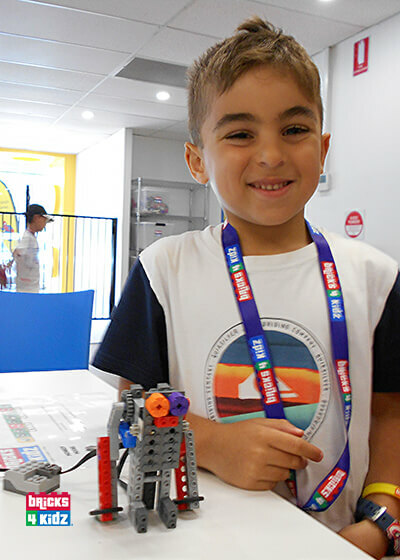 Come build motorised models including spinners using the BRICKS 4 KIDZ® model kits. 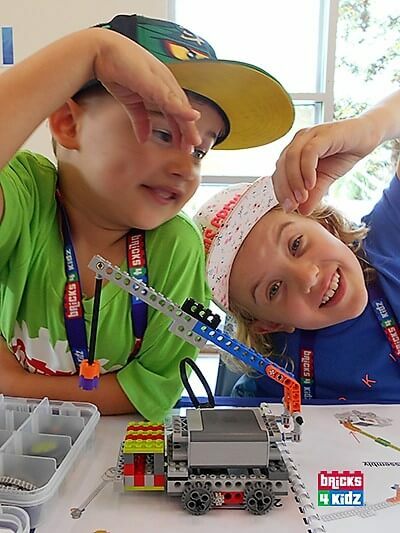 After the success of our Junior Robotics 101 workshop we now have Junior Robotics 201! With new and exciting models to build and program, we will be introducing sensors to extend and challenge in this exciting workshop. This is sure to please any young budding programmer! 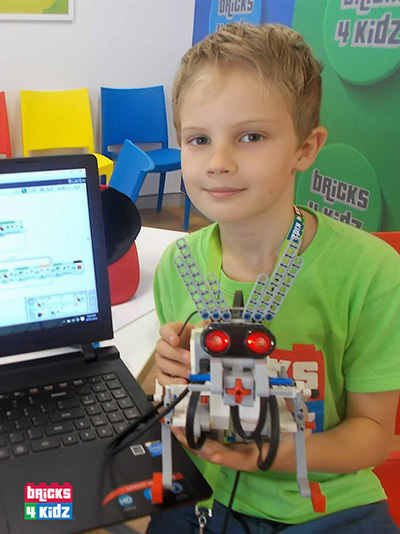 Open to students who have attended BRICKS 4 KIDZ® Junior Robotics 101. Come spend time these holidays visiting the Wizard World by building incredible models like a Flying Broomstick, Golden Winged Balls, Giant Spiders, your favourite Wizard, his Magical Owl and more! Start off the day when you get sorted into one of the four school houses and learn about the incredible things in the wizard world! Join us as we explore the wizardly world of building with LEGO® bricks! This is a full day filled with fun for both Girls and Boys alike. Jump into the world of classic arcade and video games in this SUPER FUN workshop (completely screen-free). Eat flashing dots, collect coins and rings, avoid getting destroyed by enemies…. There are so many obstacles to overcome and levels to beat! Kids will build the famous plumber brothers, a Brick Eater, a jumping hedgehog, alien invaders, and more! Can you guess which classic game each model represents? Great for both girls and boys. 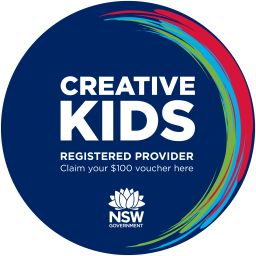 For more great workshops and dates, visit our Balgowlah or Forestville pages. Or check out our Calendar for a list of all our programs by date. 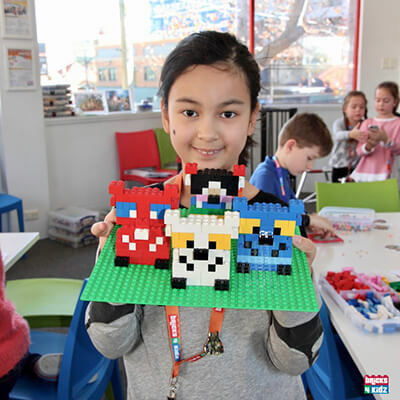 Children are welcome at our workshops from as young as five, however all kids attending must be in kindergarten at least in order to attend our School Holiday Workshops. Our Collaroy workshops have a maximum of 16 children with an 8:1 child to instructor ratio. All our Robotics workshop have a maximum of 14 students with at least two Instructors to provide hands on assistance to each child as needed. Please note that food is NOT provided. Please provide a nut-free lunch and two snacks for your child to enjoy during every day of the workshop. Please make sure your child wears covered shoes, sunscreen and brings a hat! We will supervise them outside at breaks. 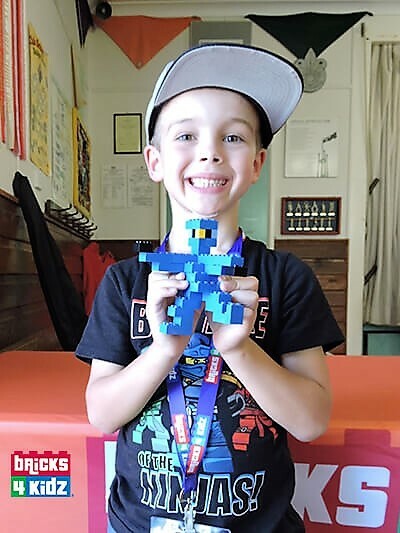 To ensure we provide a safe and secure environment for your child, a BRICKS 4 KIDZ® Northern Beaches Registration Form is required for each child attending our workshops. Please complete and return your form prior to the workshop. 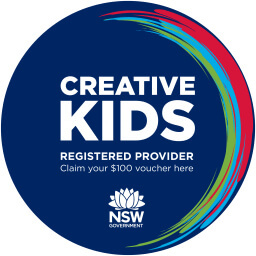 Unless specified otherwise in a specific promotional offer, cancellations made at least TWO weeks from the start date of the school holiday workshop will receive a full refund. We do not offer any refunds for workshops cancelled LESS than TWO weeks prior to the scheduled date of the workshop. Please contact us for further information. We reserve the right to cancel a workshop due to low registration and will provide a full refund in such cases. All transactions are processed in Australian dollars (AUD) and are GST inclusive unless otherwise specified. Your child’s place is confirmed when payment is made. Please contact us if you required a Tax Invoice. Our Extension programs to 5:15pm are available for parents who need that wee bit of extra time at the end of the day and for kids who want the extra building and creative time! The extended session includes group games and extra creative activities. The program is available at no additional cost, but booking is essential!